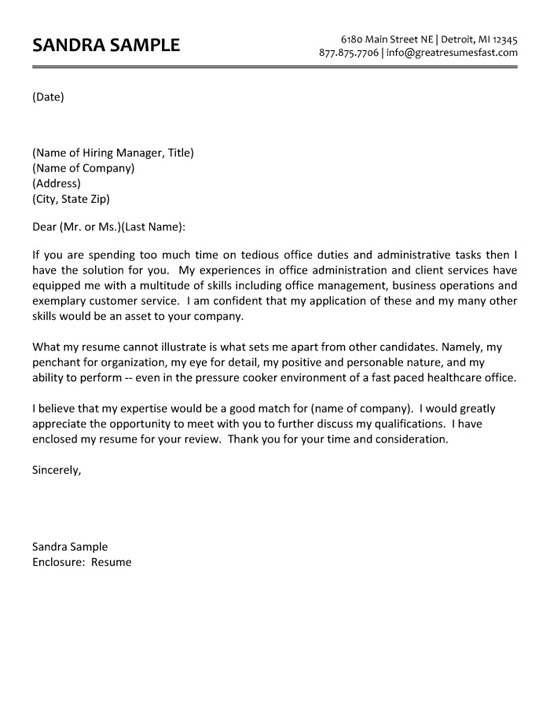 On this page, you will find an administrative assistant cover letter example for a professional with experience in office administration and client services in health care office. The cover letter has a unique introduction where the writer realizes that many offices have tedious duties and the jobs seeker has the experience to provide a solution. This introduction will grab the reader’s attention and might even be powerful enough to invite an interview. 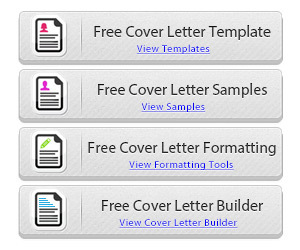 The cover letter goes on to document the administrative and office experience. The second paragraph explains additional information on the resume and outlines personal skills such as organization, detail-oriented, positive attitude and ability to perform under pressure. The closing paragraph portrays confidence and asks the reader for an opportunity to meet to discuss qualifications. 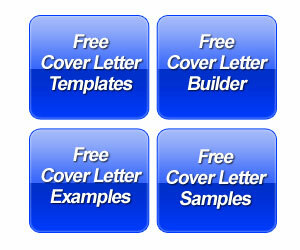 The cover letter closes by thanking the employer for consideration. Like the office assistant cover letter, the administrative assistant’s major goal is to improve productivity. You can see in the office assistant advice section a more detailed explanation of how to incorporate this concept into a cover letter. Business administrative professionals are usually working for one boss or one department and the more you can do for your boss the happier that person will be. So this is often the message you want to convey in the cover letter. Let the reader know that you can get things done efficiently. The reader must come with with the idea that the job seeker is capable of learning new tasks quickly. In the end, your job is to make everyone’s job easier.